Between the years 1987 and 1995, Apple Computers, Inc produced a distribution of Unix for the 680x0-based Macintosh. 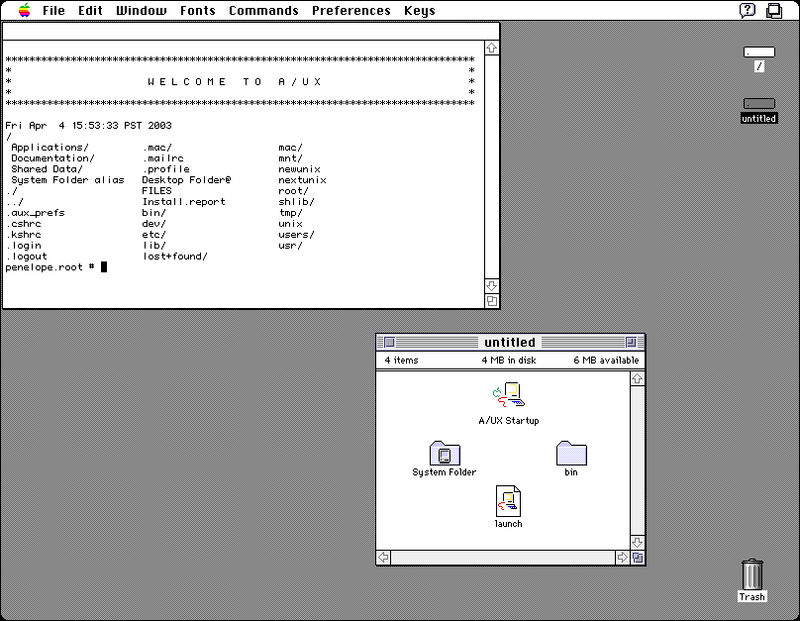 Based on System V release 2.2, Apple Unix (A/UX) provided a familiar Macintosh Finder environment with the ability to run both Unix and Mac applications. While the two products share no code, A/UX was the "conceptual ancestor" of OS X. This site is intended as a historical record to showcase the product, and to provide detailed information for anyone interested in building an A/UX server... kind of a digital Jurassic Park. So, if you've found a copy of A/UX and want to install it, check out the hardware requirements. 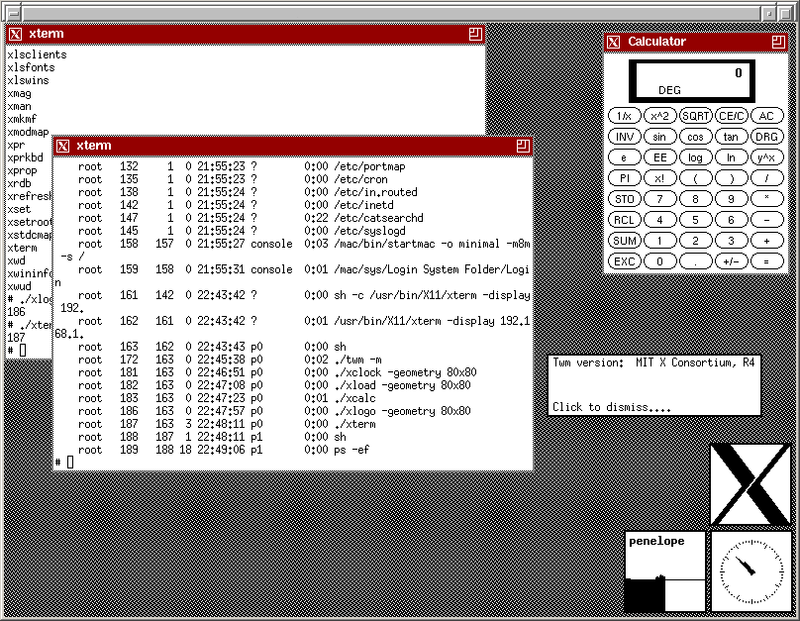 If you just want to see what Unix looked like on the classic Macintosh, skip over to the screenshots. A/UX Hardware Requirements | IBAN Software supports the AUX project.